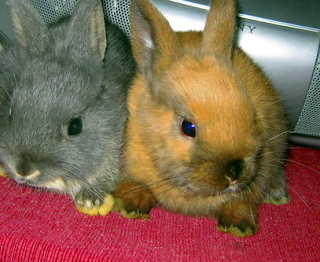 On Saturday, February 18th, Bunny World Foundation invites you to Bunnies and Bubbles. The event will serve as a benefit to raise money for Luigi - one of 41 baby bunnies confiscated by the LAPD during a raid on illegal animal vendors in Santee Alley. He was only 7 days old when BWF took him in. Unfortunately, Luigi has epilepsy and needs to be treated. Saturday’s Cocktail for a Cause Soiree is free (donations are welcome) and will feature a silent auction, music courtesy of Silver Piano, “Lucky Paw” raffle drawing, and signature Luigi’s Kiss cocktails. 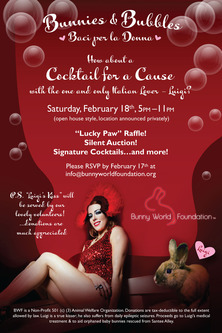 RSVP on FaceBook (or at info@bunnyworldfoundation.org) by February 17th to attend this great event. If you can’t attend the event you can still purchase “Lucky Paw” raffle tickets via Givezooks. $25 donation = 3 tickets, $35 = 5 tickets, $50 = 10 tickets $100 = 20 tickets. All purchases /donations are tax deductable and proceeds will go towards Luigi’s medical treatment and to care for the other orphaned baby bunnies rescued from Santee Alley. 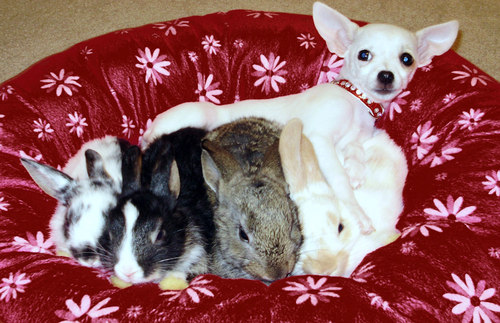 Since 2008, Bunny World Foundation has rescued 1700 baby bunnies and 300 puppies. Please give them your support so they can continue their wonderful work and also consider becoming a part of the BWF foster family. Bunnies make great pets! I know. I rescued one. Narrative by Nikki Neil, Photos courtesy of BWF.